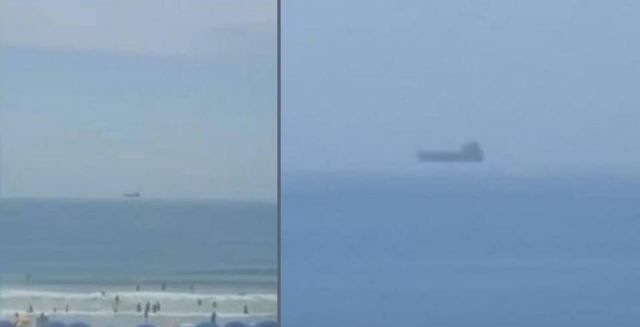 A tourist has filmed a strange object that appears to be floating above the horizon at Cocoa Beach in Florida. Is it an alien craft, a hologram deliberately put in the sky or it is something that appears from a parallel universe? According to experts it is a rare natural phenomenon, known as a Fata Morgana and is a type of mirage that distorts objects in the distance, in this case a vessel. Even though it probably is a mirage, some scientists are studying the possibility whether these appearances in the sky have anything to do with a parallel universe.